Conference "innovative developments of the harp"
Harp exhibition. During the exhibition you can try lots of lever and pedal harps from the brands Salvi, Lyon&Healy, Dusty Strings, Pepe Weissgerber, Starfish, Silver Spear, Heartland Harps and Killarney. Pepe will take the listeners into the profession of harp building. Dave Woodworth from Heartland Harps tells the audience about the building proces of carbon fiber harps. He shows pictures and shows us the new possibilities and bennefits. Take care of your lever harp. What can you do to keep your harp in the best condition? Harp exhibition with the following brands: Salvi, Lyon&Healy, Heartland Harps, Weissgerber Harps, Dusty Strings, Killarney and Silver Spear. A workshop with new music from Inge Frimout specially written for 27-strings harps. Are you always so impressed by all those effect pedals, buttons and cords? Sonja Tavormina teaches you the basic necessities. 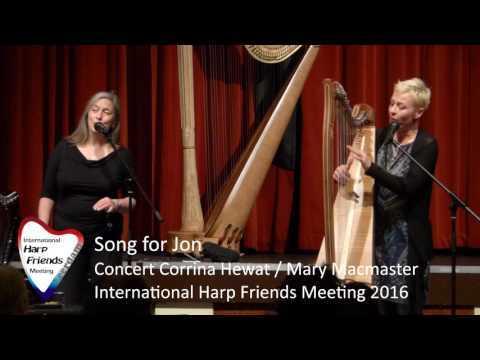 In this conference we talk about possible improvements on the harp. Can we make our beautiful instrument even better? With music from Remy van Kesteren en Anja Linder. From Utrecht Central Station, a NS sprinter usually goes to Rhenen. From station Rhenen you can walk to the store (about 10 minutes walk). You can also take the bus. Check website www.9292.nl for the best option. Rhenen is centrally located in the Netherlands in the most eastern part of the province of Utrecht. Our new address is very well reachable and is located between the A12 and A15. Free parking in front of our building. Coming from the direction of Wageningen, turn right to the Koningin Elisabethplantsoen. This is the street next to the restaurant De Koning van Denemarken, indicated by the blue car in the above card. Your navigation probably does not know our new address Koningin Elisabethplantsoen 5a yet. If so,program your navigation on Koningin Elisabethplantsoen 7. Drive back through the Koningin Elisabethplantsoen to the main road. Turn right and then left again. On your right you can park for free at the Paardenmarkt. Drive back through the center to the roundabout. Turn left onto the Nieuwe Veenendaalseweg. Then take the third street on the left, the Bantuinweg. On your left there is a parking lot. Half of this car park is free, the other half has a blue stripe which can be parked for free for a given parking time. From the free car park Bantuin you can walk through the plantation to our property in 3 minutes (see streetview).